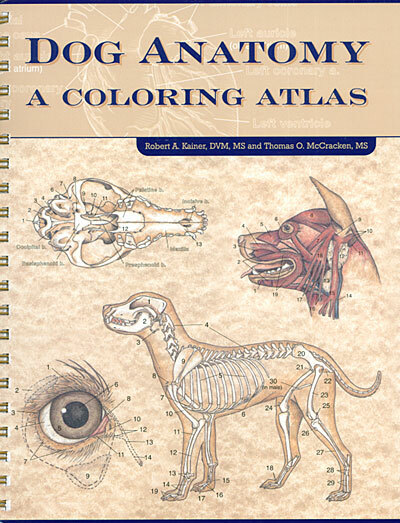 An authoritative atlas of canine anatomy. The illustrations are understandable, accurate, and exquisitely drawn. A useful and fun guide for students and professionals at all levels who have an interest or need to understand the anatomy of man’s best friend. This is NOT a child’s coloring book! These are sophisticated, professional drawings; color if you wish! Dr. Kainer is Professor Emeritus of Anatomy, College of Veterinary Medicine and Biomedical Sciences at Colorado State University.Thomas O. McCracken is former Associate Professor of Biomedical Illustration and Communications, College of Veterinary Medicine and Biomedical Sciences at Colorado State University. Mr. McCracken is currently Vice President of Visible Productions LLC, in Fort Collins, CO.